Chart for your personal use only and to share with friends not intended for use for profit unless you cut me in, of course. 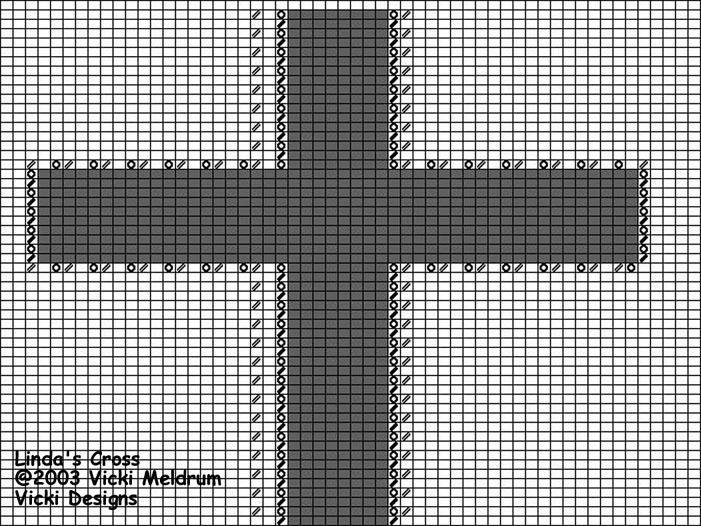 :-P This Cross was designed to work into a prayer shawl that a friend of mine was knitting for her very dear friend, Linda, who has cancer. 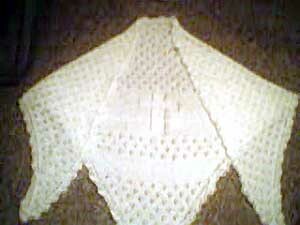 This is the Meadow Flowers Shawl with the cross that Bernadette knitted for her friend, Linda. The shawl is worked totally in garter stitch so I designed the cross to be worked in St St offset by a lace effect. The Meadow Flowers Shawl can be found in the Knitter's Stash Book.